Freedom of movement allows for the enjoyment of life! Physiotherapy is the science that deals with the restoration of that movement. Our physiotherapists have the knowledge and the skills to assist with the management and reduction of your pain, the improvement and maintenance of your mobility, the promotion of a return to full independence, and the ongoing support that you will require as you embark on your journey towards total health. Our approach to your healing is individualized and hands-on in nature. You will enter our clinic as an individual and your treatment will always maintain that individuality. When you choose A Body In Motion’s physiotherapists to care for you, you can be assured that you will receive the highest quality of care. You will begin a program specifically tailored to you and your needs and we will help you care for and manage your physical challenges. Our physiotherapists may also choose to incorporate the use of acupuncture to complement your treatment. Medical acupuncture can influence the energy flow in your body and assist with pain management and tissue healing. The technique involves the insertion of very fine needles which target specific points along meridian pathways. These pathways were studied many years ago in ancient Chinese medicine and they continue to be used by many trained health care professionals today. When you visit A Body In Motion Rehab for the first time, you will participate in a one hour initial assessment. During this assessment, your physiotherapist will learn about your condition, your history, and your lifestyle through your descriptions and answers to his or her questions. Your therapist will assess your current physical capabilities and their impact on your current function while always providing clear and concise explanations of what is being done and why. He or she will then diagnose your condition and will work with you to develop a treatment plan which will involve active participation from the both of you. Your first visit to us will also include a treatment! Over the course of your therapy, your physiotherapist will treat your condition, provide education, measure your progress regularly, and progress your program as you improve. 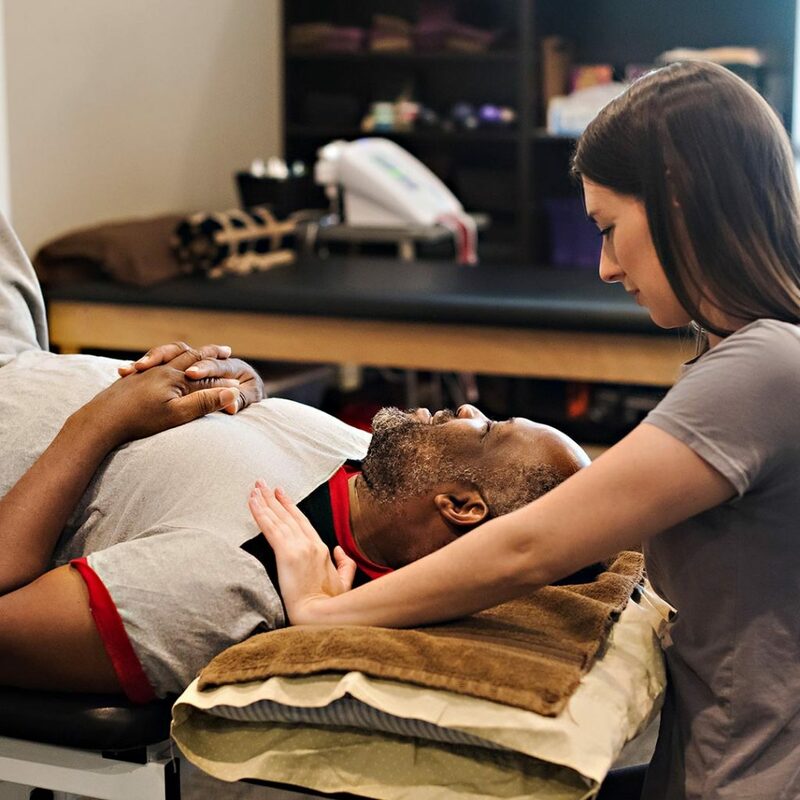 When you have successfully completed your program, your therapist will provide the final education needed to assist with the prevention of a re-occurrence of your injury. We are also always available should you have any questions or concerns once you have been discharged. The relationships that we develop with our clients are continued for a lifetime!